VANKLEEK HILL, ON – Beau’s All Natural Brewing has announced the upcoming release of a new seasonal sampler pack that features three new beers along with a year-round favourite. 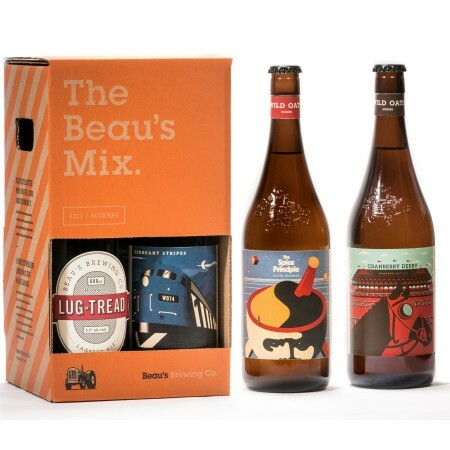 The 4 x 600 ml Beau’s Mix package will be released on August 31st in Ontario, where it will be available at the Beau’s retail store and BYBO delivery service, and select LCBO and Beer Store locations. Distribution in BC, Alberta and Manitoba will follow soon after, and the three new beers will be available separately in Quebec.